The file opera_autoupdate.exe size is: 1 508 704 bytes. The file opera.exe has the internal name: launcher.exe. The file opera.exe description is: Opera Internet Browser. The file opera.exe is related to the Opera Software. The version of the file opera.exe: 15.0.1147.18. 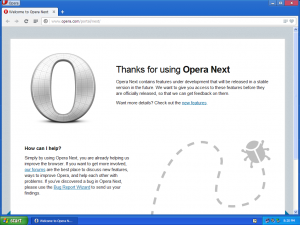 The opera.exe is a part of software product: Opera Internet Browser LegalCopyright: Copyright ? 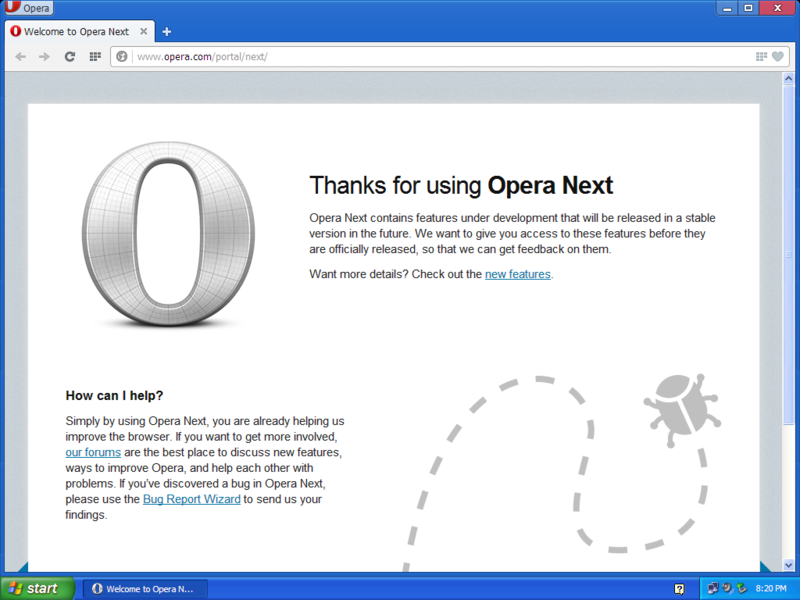 Opera Software 2013. The file opera.exe size is: 39 415 648 bytes. The file npTestNetscapePlugIn.dll has the internal name: npTestNetscapePlugin.dll. The file npTestNetscapePlugIn.dll description is: Simple Netscape plug-in that handles test content for WebKit. The file npTestNetscapePlugIn.dll is related to the Apple Inc.. The npTestNetscapePlugIn.dll is a part of software product: WebKit Test PlugIn LegalCopyright: Copyright Apple Inc. 2007-2009. The file npTestNetscapePlugIn.dll size is: 122 720 bytes. The file launcher_lib.dll size is: 2 817 376 bytes. The file ffmpegsumo.dll size is: 977 248 bytes. The file d3dcompiler_46.dll has the internal name: d3dcompiler_46.dll. The file d3dcompiler_46.dll description is: Direct3D HLSL Compiler. The file d3dcompiler_46.dll is related to the Microsoft Corporation. The version of the file d3dcompiler_46.dll: 9.30.9200.16384. The d3dcompiler_46.dll is a part of software product: Microsoft? DirectX for Windows? LegalCopyright: ? Microsoft Corporation. All rights reserved.. The file d3dcompiler_46.dll size is: 3 222 880 bytes. The file savapi3.dll has the internal name: savapi3.dll. The file savapi3.dll description is: Avira Savapi v3. The file savapi3.dll is related to the Avira Operations GmbH & Co. KG. The version of the file savapi3.dll: 1.4.0.11. The savapi3.dll is a part of software product: Savapi3 Library LegalCopyright: Copyright ? 2000 – 2012 Avira Operations GmbH & Co. KG and its Licensors. The file savapi3.dll size is: 434 536 bytes.